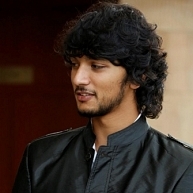 It’s now official, post Moonu, Aishwarya Dhanush’s next venture, Vai Raja Vai will have the young and handsome Gautham Karthik in the lead. The film will be produced by AGS Entertainment and a variety of intriguing posters are being released now and then. The director is hunting for a suitable heroine and will make the announcement about the same as soon as it is finalized. However the technical team will have Yuvan Shankar Raja, cinematographer Velraj and editor Kola Bhaskar. Prabhu Solomon To Choose Nani? "Education Through The Silver Screen"